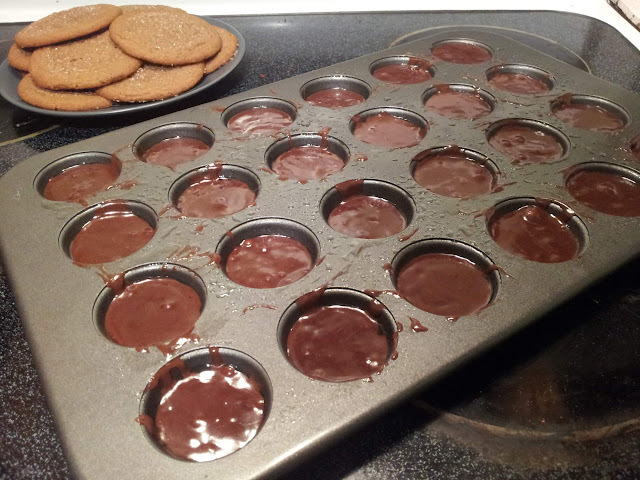 It's starting to get to be the time of year where I pull out my baking sheets and start making yummy treats for friends. Sadly, most my usual recipes aren't very nice to my friends with gluten allergies. One such friend has had to miss out on several of my baked goods because of an allergy, and so this week for our DnD session, I decided to make something she can enjoy as well. I've made this recipe a few times now and every time I wish I kept milk in the house. 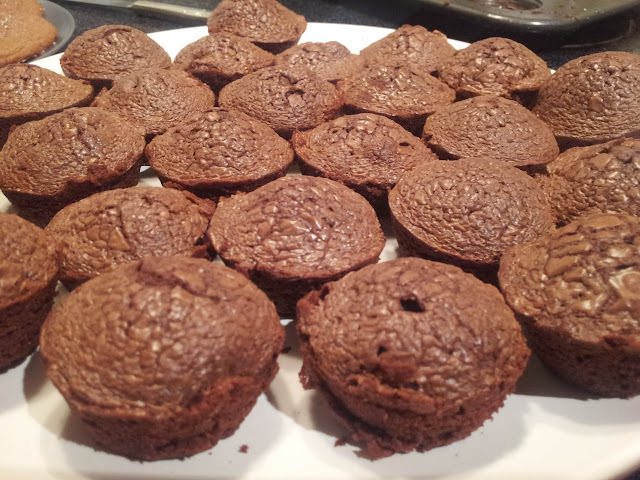 These suckers are dense and delicious! Modified from Gluten Free Canteen. Preheat oven to 350°F; Makes 2 Dozen. 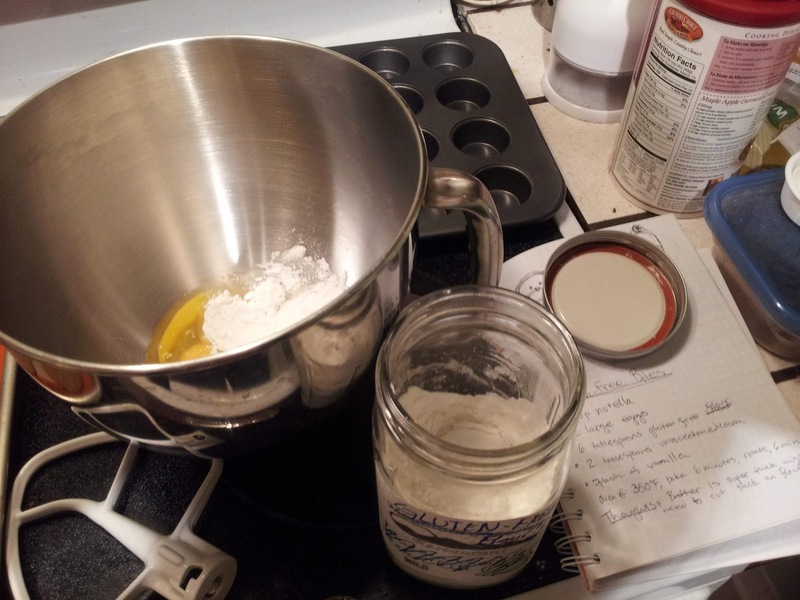 Pre-grease a 24-mini muffin pan (I like to use the spray Crisco). Add eggs, flour, cocoa and vanilla together in large mixing bowl. Mix so that all the eggs yokes are broken. 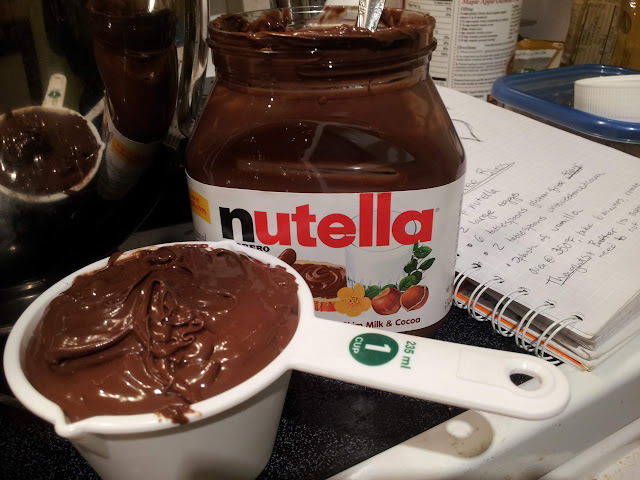 Scoop out 1 cup of Nutella. Pre-greasing the measuring cup first makes it easier to get all the Nutella into the bowl, or you can just use a spoon to scrap it out. Then, you know, lick the spoon clean. Mix the batter on medium for a few minutes, until the batter is thick and consistent. You'll probably need to scrape the bowl a few times to make sure you get all the flour and cocoa in. 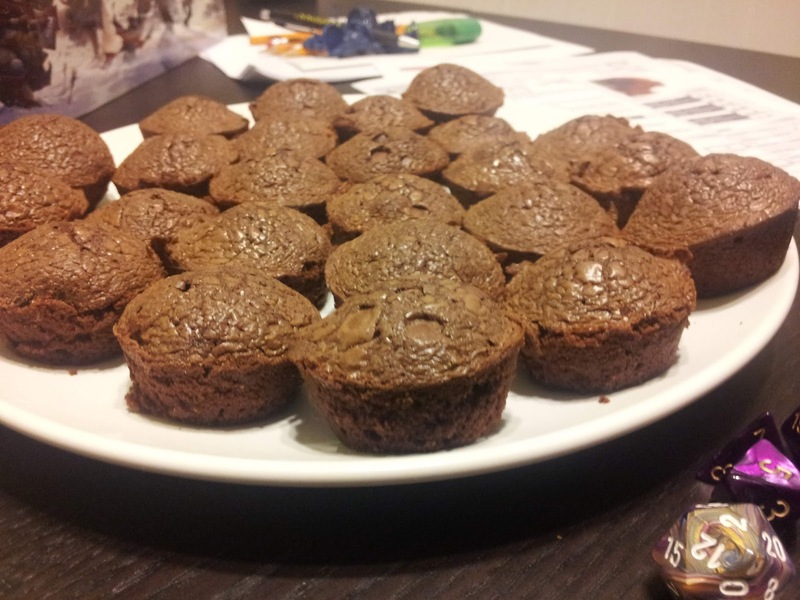 Then, distribute the batter to your mini muffin pan. Bake at 350°F for 12-15 minutes, or until the brownies don't show moist with the toothpick (read: chopstick) test. Let cool completely before popping them off the tray and into your mouth.